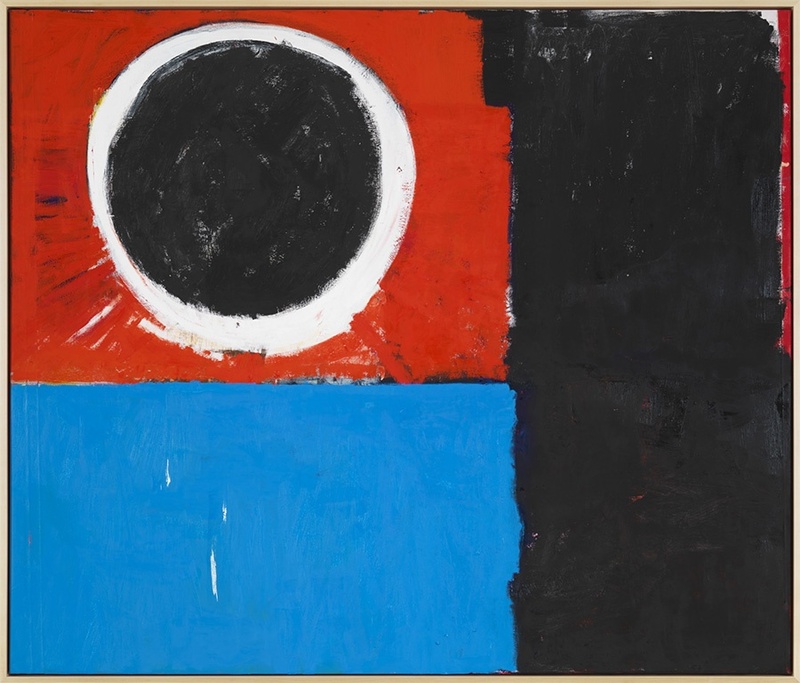 A new show of paintings, drawings, and sculptures by Joe Bradley, Oscar Tuazon, and Michael Williams is now on view thirty minutes north of Manhattan. JOE BRADLEY — OSCAR TUAZON — MICHAEL WILLIAMS, through October 1. BRANT FOUNDATION, 941 North Street, Greenwich. Above: Joe Bradley, Baba, 2016. Private collection. Bottom: Oscar Tuazon, Model Mother, 2018. Courtesy of the artist and Galerie Eva Presenhuber, Zurich/New York. This entry was posted in ART and tagged Brant Foundation, Galerie Eva Presenhuber, Joe Bradley, Michael Williams, OSCAR TUAZON on June 14th, 2018 by Barlo Perry. For his new show at Eva Presenhuber—his second with the gallery—WYATT KAHN has reproduced eight of his earlier linen works in milled lead. In conjunction with the show, the monograph WYATT KAHN (2017)—with a text by Afterall, Art Review, and Parkett contributor Terry R. Myers—has been co-published by Galerie Eva Presenhuber, Zürich; Xavier Hufkens, Brussels; and JRP/Ringier, Zürich. WYATT KAHN, through July 15. GALERIE EVA PRESENHUBER, Löwenbräu Areal, Limmatstrasse 270, Zürich. (From top): Wyatt Kahn, detail of Untitled, 2016, lead on panel; image from Wyatt Kahn monograph; Untitled, 2017, silver gelatin print; Untitled, 2016; Untitled, 2017; Untitled 2016. All images courtesy of Wyatt Kahn, Galerie Eva Presenhuber, and the publishers of Wyatt Kahn. This entry was posted in ART, BOOKS/PERIODICALS and tagged Afterall, Art Review, Galerie Eva Presenhuber, Parkett, Terry R. Myers, Wyatt Kahn on June 17th, 2017 by Barlo Perry. This entry was posted in ART and tagged 2014, Chiseller's Cabinet, Galerie Eva Presenhuber, Steven Shearer, The Diminutive Muralist, The Green Scab, The Sickly Fauve on September 22nd, 2014 by alexandra.